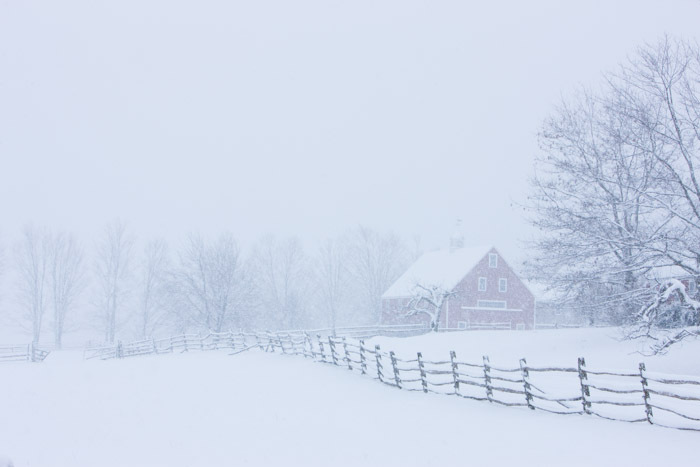 Apple farm in New Hampshire catches a blast of snow from a March storm. Spring is close but seems far away on this cold winter day. Photo © copyright by Lance B. Carter.